Our passion for technology is only matched by our passion for our people. 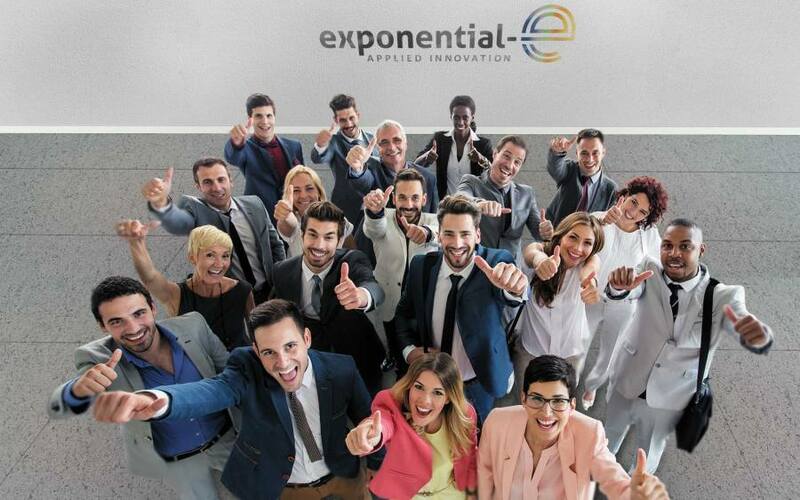 Working at Exponential-e means coming into a dynamic environment where motivated employees have the opportunity to become experts in their field, thought leaders and game changers of the future. 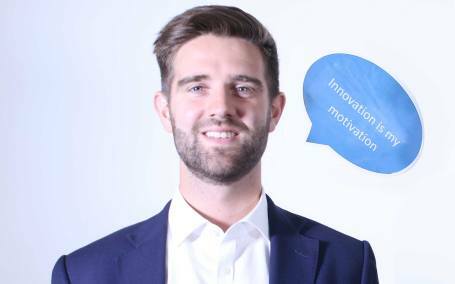 In all areas of our business we strive to build teams that: continually seek meaningful results through innovation, are customer-focused and thrive on working in a fast-paced and friendly environment. At Exponential-e we each have personal responsibility for delivering excellence. Our people have the ambition to be the best they can be. 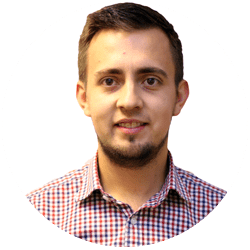 They are passionate about their roles, the future of Exponential-e and their careers, taking responsibility for their development and always setting high standards. Our people are behind our continued success. Below are some of the ways we say thank you. Ambition to be the best that I can be. Doing the things I say I am going to do. The customer is at the heart of everything I do. Our Sales teams contribute massively to our success and to thank them every year we select the top sellers and fund an all-expenses paid trip to a sun bliss location! 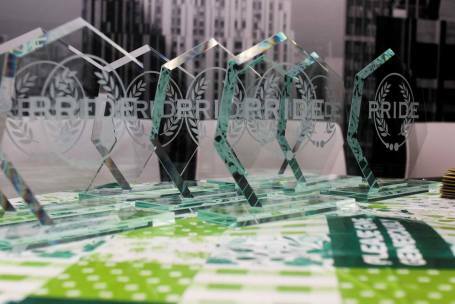 We’re proud employers of a diverse range of people from many backgrounds and nationalities. We believe that diversity is linked to greater creativity and innovation. Our people are valued for their abilities and potential – regardless of any protected characteristic. We are passionate about developing our skills and capabilities. At Exponential-e everybody has access to the learning and development they need to be successful in their roles and to develop their careers.  Click on the icons below to find out more about some of our benefits.  Members have access to a variety of discounts from Vitality partners including up to 40% off British Airways flights , up to 50% off Virgin Gym membership! Free activity tracking devices including an apple watch!  Access to Medicash where you can expense back dental and health check-ups. Employees can register for our company life assurance scheme aft er six months of service, having successfully passed their probation and if enrolled onto the company pension scheme contributing 3% or greater. Further details are included in your contract and provided upon completion of your probation.  Fresh Fruit and Milk delivered daily!  In a bid to help employees with transportation costs, we offer a season ticket loan. Further information on eligibility and general support can be located on the Exponential-e Intranet. All parents will be aware of the financial impact that childcare has on their personal budget and therefore we offer a company childcare voucher scheme. These vouchers can be used for most registered and approved childcare providers including; nurseries, child minders, nannies, aft er school clubs and holiday playschemes, giving you peace of mind that you are receiving quality and aff ordable childcare. Start your learning journey at Exponential-e by logging into our in-house learning management system: Edison. Edison is named after Thomas Edison, the inventor of the lightbulb. 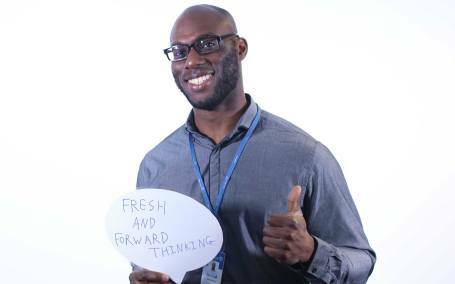 We chose to do this because, as part of a company that strives towards innovating in everything we do, we want you to have as many ‘lightbulb’ moments as possible while you work here. Learning starts with your induction, where you’ll find out all about who we are, what we stand for and where we’re going. 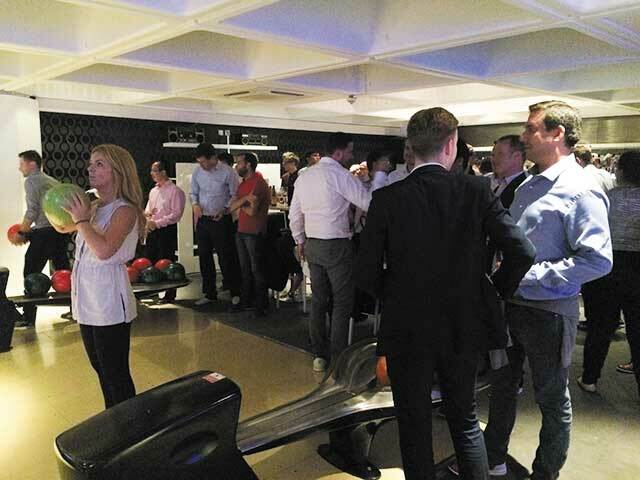 Next comes follow-on sessions run by our in-house experts. These cover all our products and services. If you’re new to management, or simply want to brush up on your skills, you’ll benefit from using our Management Essentials Course. Meeting our vendor partners when they are on site is a great way to gain knowledge and insight. Want or need to do some bespoke digital learning? Search Edison to pick from an ever-growing array of courses. You could also sign up to one of the 16 vendor training portals that we host in Edison, covering the likes of Microsoft, Amazon Web Services, Juniper and Zerto. Sales, product and technical certifications are available through the vendor training portals and can all be attained at your own pace. You’ll also have the opportunity to put yourself forward for external certifications when we require them. If that’s not enough for you, you can use your LinkedIn Learning Licence to search over 9000+ courses. And that’s not all… as we continue to evolve, we are constantly bringing new training to all departments, and rolling out new training out on a monthly basis. You can even bring your suggestions for training to us; whether it’s a topic you’d like to explore, or a course you’d like to run yourself, just let us know and we’ll see what we can do! Our mission is to help everyone gain the skills, knowledge and behaviours they need to be the best they can be in their role. LinkedIn Learning is the world’s most comprehensive learning library and as an Exponential-e employee you can get a free licence. There is literally something for everyone here. Whether you want to do some cert prep for your CCNA/CCNP, become an Azure Architect, learn about ITIL and prince2, understand how to manage accounts and negotiate with customers, or even learn the guitar you can (although you should save the guitar lessons for the weekend). And you can do it from any internet connected device, wherever you are, whenever you want.  All employees are entitled to the equivalent of three days paid leave per calendar year to carry out personal volunteering activities for organisations with a UK registered charity number. Collaboration is at the very epicentre of our culture. 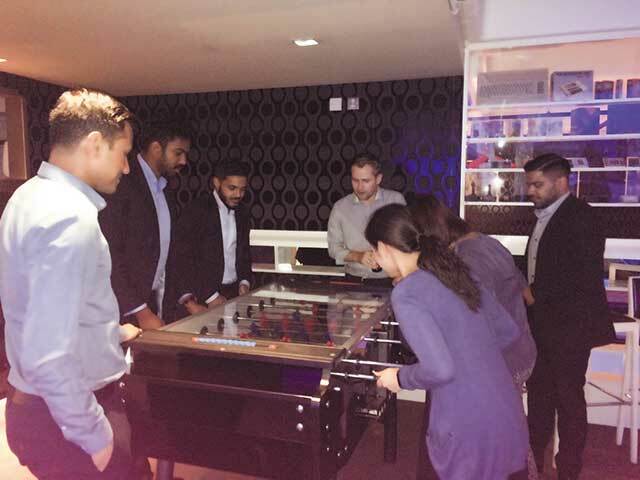 Throughout the organisation, entrepreneurial spirit and team work is encouraged and emphasised. We believe in continuous improvement and the strength of our people’s voices, which was the inspiration for creating our very own Culture Club. Our Culture Club, with representatives from all across the business, meets monthly to discuss ways to make Exponential-e an ever better place to work. 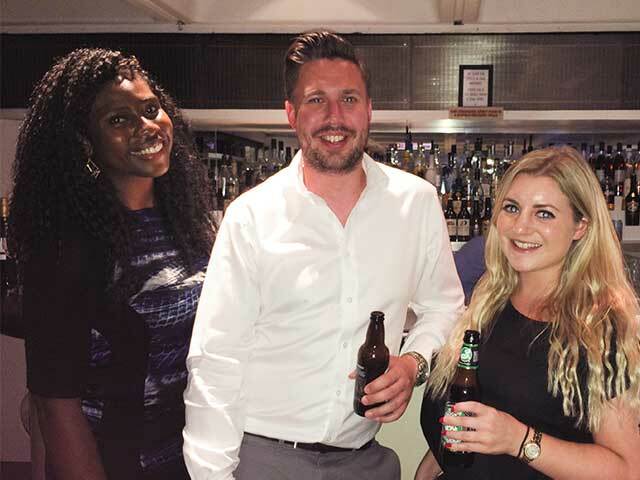 As the voice of our people, Culture Club discusses new initiatives, organises company events, sets up charity fundraisers, and much much more. 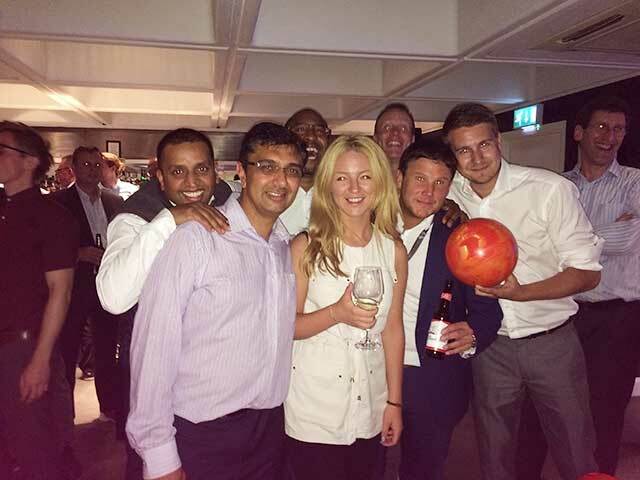 Camaraderie across the whole company is key to our success. 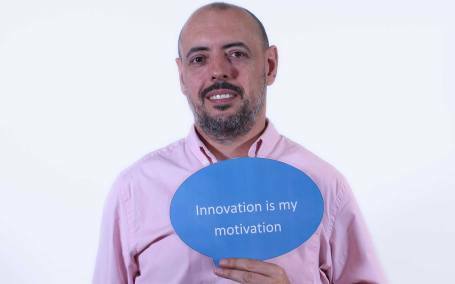 We express great PRIDE in our people’s ability to work together with a shared purpose: To be the best that they can be, to create the best company that they can. "If I could describe Exponential-e in one word it would be welcoming"
"If I could describe Exponential-e in one word it would be passion"
"If I could describe Exponential-e in one word it would be dynamic"
Developing our people is important to us. As dynamic innovators we ensure we are always one step ahead. We ensure training opportunities are available - from Prince 2 to CCNA qualifications and internal support. We offer career progression paths from 1st line to 3rd line Service Desk specialist. We offer 12 month technical work placements to ambitious students as part of their Computer Science University Degree course. 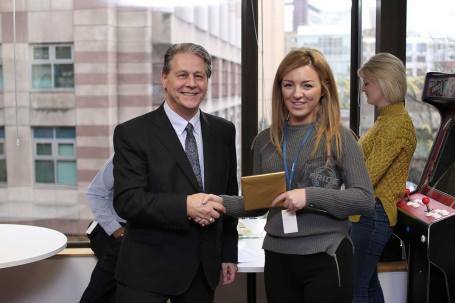 Many of our placements have completed their studies and returned to permanent position with Exponential-e. 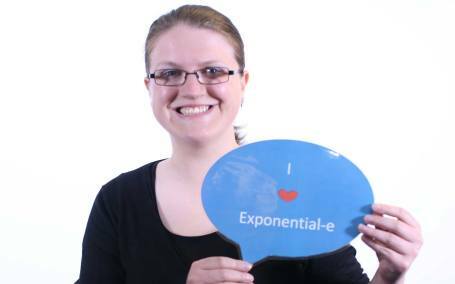 I have now been at Exponential-e for 4 years, starting within the Service Desk on my placement year from University. 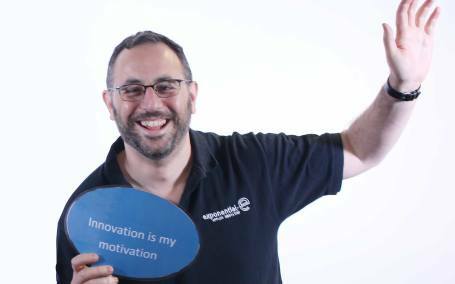 Exponential-e have allowed me to develop on all levels in a wide range of technologies to now be a 3rd Line Team Lead within the Managed Services team. Throughout my time at Exponential-e I have been exposed to a wide range of technologies including, Microsoft, VMware, Cisco, Juniper, HP, Citrix and many more! I have found the rapid transformation of both the customer base but also the technologies sold the most interesting as it has allowed me to be exposed to all types of customers with different requirements, which Exponential-e continues to meet. Exponential-e has continued to encourage both internal and external training courses to build not only my technical knowledge but also my professional career. George - 2nd Line Team Leader. 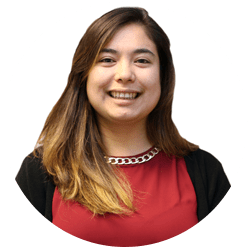 I first started in the Procurement team as an Assistant Buyer integrating with the various teams learning about their specific job roles. After a few months, I began to learn how a network functions and all the different technologies used in how one person would securely communicate to another, whether that be through the internal network or over the internet, all while sitting down at their desk. Once learning this I was advised by some members of the Service Delivery team to pursue a career in becoming a certified Network Engineer as they saw good potential in me. During my time at Exponential-e so far, I have been exposed to a variety of technologies including Cisco, Juniper, Fortigate, Palo Alto, Meraki, HP, Nokia and Adva. I enjoyed learning about Cisco as it is what other manufacturers have to set their standards too, and I have come to know Syntax like the back of my hand! I also found Fortinet interesting. My colleagues were key in my progression, showing me where to find resources and where to start. I was able to utilise tools provided by Exponential-e and did lots of practice questions to prepare for my certifications. This was all self-study with no classes but I could liaise with my colleagues from time to time if I needed more information. 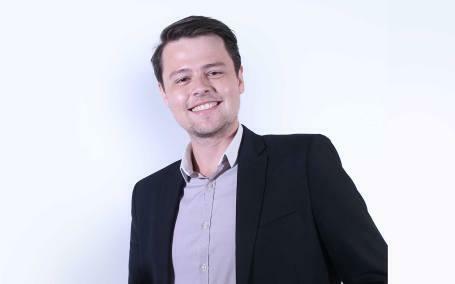 Coming from a background with only catering experience I was brought into Exponential-e to assist with the procurement side of business and after 3+ years I have now earned an advanced qualification in Cisco CCNP and I am now continuing my career development in the Service Desk as a Network Technician. Jack - 1st Line Service Desk Admin. I started as Sales Ledger Clerk with the company. It was tricky initially getting to know the technical jargon associated with our services. However I am lucky to have a very supportive team. They all have been very patient and always provided good constructive criticism to improve my performance and understanding of the service. After learning and having a good grasp of the billing system, I was given the opportunity to broaden my knowledge by allowing me to take ownership of the voice billing. Shortly after I was promoted to Sales Ledger Supervisor. A lot of people from different departments had congratulated me on my new role and worked patiently with me to collaborate and develop the integration of processes between teams. I am very grateful for all the opportunities that have been given to me and I have definitely enjoyed every step of my journey here so far. 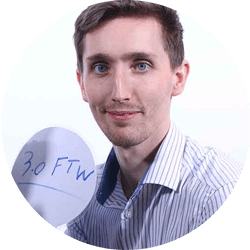 I originally started with the Billing team in 2015 where I gain opportunities to learn how the product and network functions, but also supply a bespoke billing format. This was challenging at times. However, I got to work with different teams from Engineering, Project Management and Client Relations. This was what enabled me to increase my knowledge on Exponential-e and what we have to offer. After a year in Sales Ledger I moved across to Purchase ledger. This move has provided me with more exposure to the company processes, as well as a different side of the Accounts function. I now have a better understanding of the Accounts function as a whole. In addition I have been lucky enough to receive some sponsorship towards my ACCA studies. I also have been offered additional on the job training, like Excel or even getting a greater technical knowledge of how our products work. We have recently been offered the opportunity to get Linkedin Learning which I look forward to. 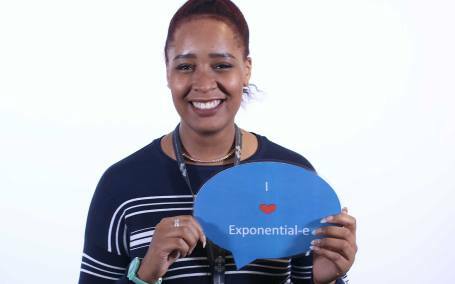 My experience at Exponential-e so far has been great for my career development and I feel more secure about my career in comparison to previous organisations I’ve been a part of. Mayumi - Purchase Ledger Clerk. Our Sales Academy programme gives candidates of any age, background or experience the opportunity to progress into a successful sales career. 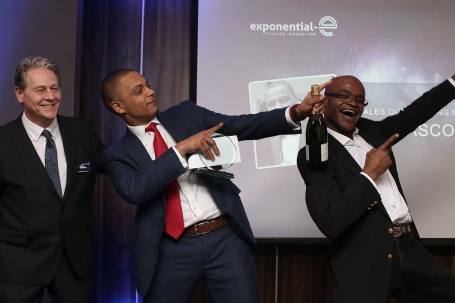 The Exponential-e Sales Academy has a proven track record of producing high-calibre sales professionals, many of whom go on to have successful careers in sales and management. 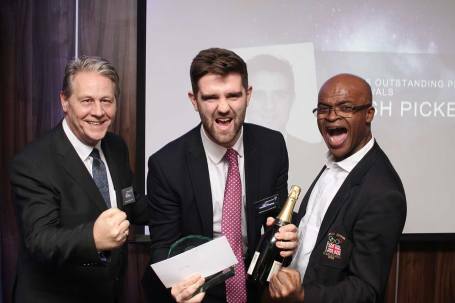 We run a Sales Academy in March each year and start our search for new talent at the start of each year. Working with customers and the sales function to design technical network solutions and produce technical design documentation. Our Solutions Consultants understand a vast range of technologies whilst also being specialist in their chosen fields. With continued growth we are always expanding the team to develop innovative solutions and continuing to develop capabilities internally. Click the image to read Sunil's story. When I started Exponential-e, I started as the only pre sales network consultant supporting the small sales team on all network opportunities. Over the years, I have recruited and created a network pre sales team that has grown to over 14 team members. I now work as a solution team manager with responsibility for managing one of the teams. In my 10 years at Exponential-e, I have worked on a wide range of technologies, within the network, security, voice and cloud arenas. 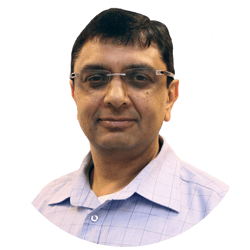 Compared to my previous organisation where I was focused primarily on MPLS technologies, here at Exponential-e I have worked on technologies like-, DWDM, SDH, all circuit technologies ranging from ADSL/FTTC circuit up to 100Gbps circuits, wireless, voice, SIP, virtualisation, replication and then more recently SD WAN technologies. During my time I have also been apart and lead various exciting projects, but the most memorial has to be the Royal Wedding. I was involved in designing the network for a number of US broadcasters who broadcasted live pictures from, Westminster Central Hall, Buckingham Place, and Trafalgar Square back to New York for the Royal Wedding. This was a very demanding project. Our first meeting with the client was in January and with the wedding in April, we needed to have designed, installed and tested the network in a tight time period. I also needed to design a network that was resilience at all locations where it was difficult to install a single circuit, yet alone two. Imagine if the circuits went down at Buckingham Place when the famous kiss took place! There was satisfaction in knowing that my network design together with the support of the rest of the Exponential-e teams was key in allowing 500m people in the US to watch the Royal Wedding on TV. The operational teams fill the functional gaps between the commercial and technical business areas, from Marketing, Finance and Procurement to HR. If you wish to develop your career in these areas, you will be guaranteed personal development and opportunities for progression. Click the images below to read more. 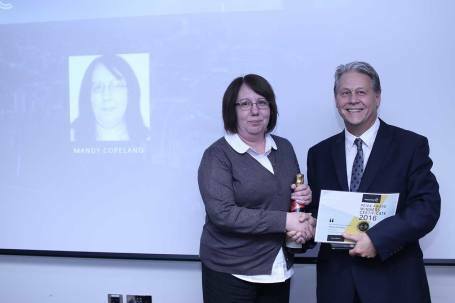 Whilst working for Exponential-e I have received the Directors Award for Special Contribution in 2016 and The Annual PRIDE award in 2017. I felt a great sense of pride and makes the effort of addressing client concerns and pushing for continual improvements all the more worthwhile. I have been part of was the rollout of Insight Monitoring Tool to prestige customers in 2013. Ever since then I have introduced over 50 customers to this portal enabling customers to create reports and graphs showing the performance and health of their Internet/WAN services. 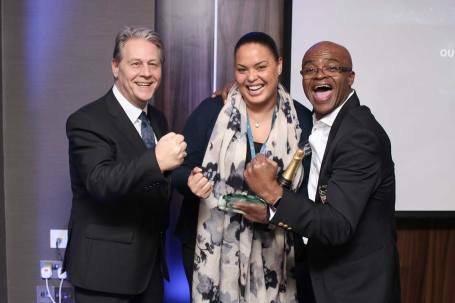 I love my job because it is so multi-layered enabling me to engage with colleagues from all areas of the business. 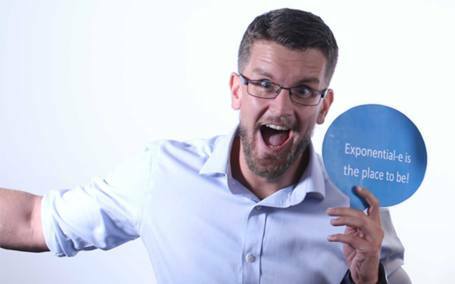 Knowing that I am making an impact to clients businesses from a range of sectors including not-for-profit, financial, media, legal and telecoms gives me a sense of purpose. 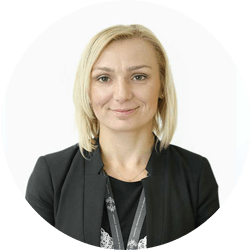 My role has developed from direct sales, to account management, IT service management and contributing to company projects. And I have been offered training for all ranging from ITIL Foundation, VMware, Sales and Account Management, Personal Branding and Development. Within Exponential-e, I have had the most exposure to the operations and goals of the organisation. 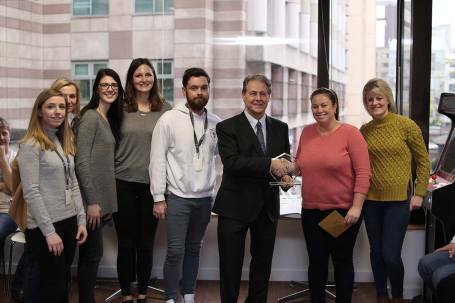 I have been with Exponential-e for a year now and during my time here so far I have observed a huge investment in learning and development with a brand new and bigger L&D team. There is excellent Induction, Management and Employee Development training programmes, online resources to tap into, on-the- job training opportunities and so on. From my own perspective, I have not only been encouraged to continue with my development but have also been actively supported when doing so. As a member of CIPD (HR governing body) the company pays for my membership and I am free to attend any of their events for the sake of my own development, personally and professionally speaking. It has been during my time at Expo that I had my first opportunity to attend a CIPD HR Business Conference in addition to other such events focusing upon Time Management and Personal Brand training, to name but the few. 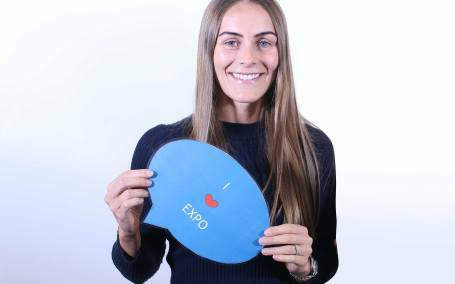 I feel that my career with Expo is progressing through the available training opportunities and therefore I am duly empowered to shape my development in the way that suits my needs, interests and life style. 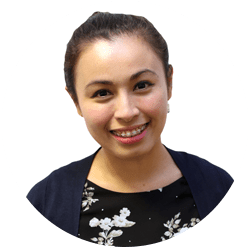 I started my journey as a Procurement Assistant with very little buying experience. My manager took a chance on me and after 9 months of on-the-job training and helping to develop processes in the department, I was promoted in to a Buyer role. 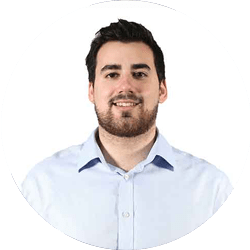 I am now thriving in my team and manage my own projects and suppliers, working daily to achieve greater efficiencies across the business and reduce operational costs. 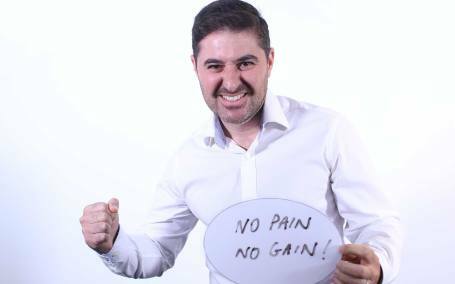 In my first 6 months of working at the company I started taking vendor-specific internet Security exams, working towards my CIPS qualifications, completed an online safety course and have attended workshops on products, time management and success & wealth creation. I’m now excited to start utilising LinkenIn Learning as much as possible to upskill myself even further. 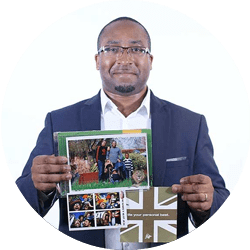 My manager has always ensured that I am supported in my role and the business reinforce this by giving me access to a wide range of courses and training. I can safely say that I have never worked at a company that invests so much in its staff. In previous companies, I have always felt that there is a ceiling limiting my potential, but as Exponential-e grows there will always be new and exciting opportunities ahead. 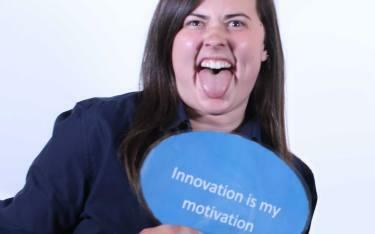 Our people are what makes the company what it is today. 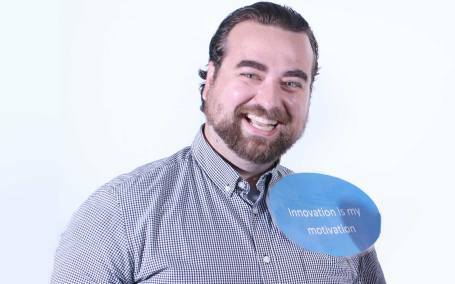 This year’s employee survey highlighted that 81% of employees who took the survey, would recommend a friend to work here at Exponential-e.
We're a company of innovators who think big and achieve bigger! Our people are crucial to the continuing success of our company. From our CEO to our new Graduates, each of our people demonstrates our PRIDE principles which are at the core of everything we do. 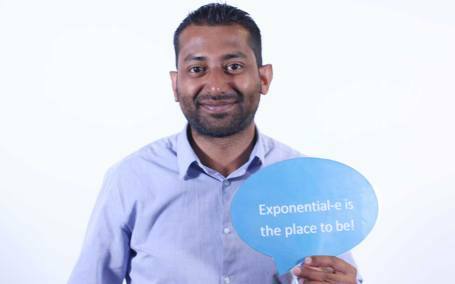 I love working in a big team and I work in a wonderful team at Exponential-e. It is great to work in a company where everyone is on the same page about how important our customers are. 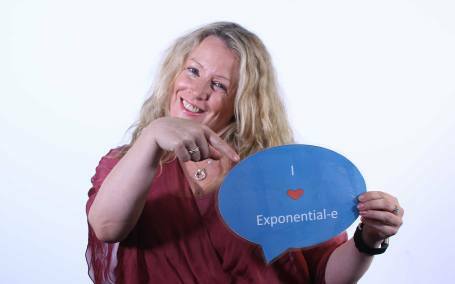 My proudest moments at Exponential-e are Delivering services under very demanding timescales and challenging circumstances. In my role I am vibrant, caring and dedicated. Exponential-e gives opportunities to develop equally to everyone. Hard work is recognised and rewarded. This is a place for hard workers and dedicated professionals. I love my role here because I've just started and I actually get to define what my job will become. Winning the Pride award and being recognised from my peers for my efforts has been my prodousted moment at Expoenential-e so far. Exponential-e is a great place to work. People are friendly and welcoming and progression is really encouraged here. 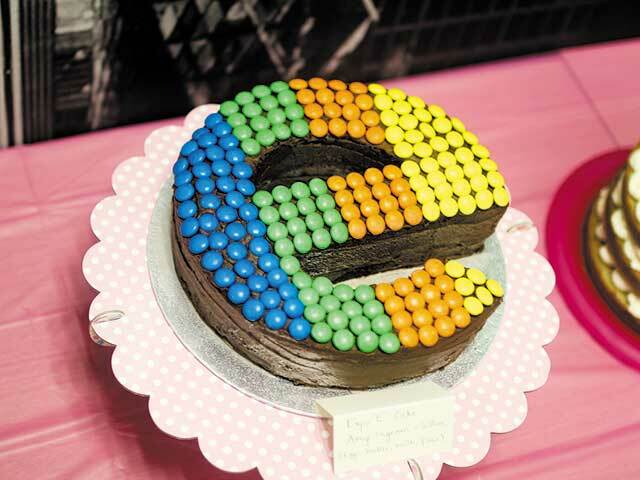 If you are looking for a fair, rewarding and challenging environment to work in then Exponential-e is a great company to work for. I have seen so many people grow and develop both personally and professionally and I am proud to be part of that. The Culture at exponential-e is hard working but fun. A family culture! Exponential-e is fast moving innovative technology company, the environment can be challenging but developing solutions with customers and seeing what the technology enables can be very rewarding! Exponential-e is a fresh forward thinking, dynamic company. 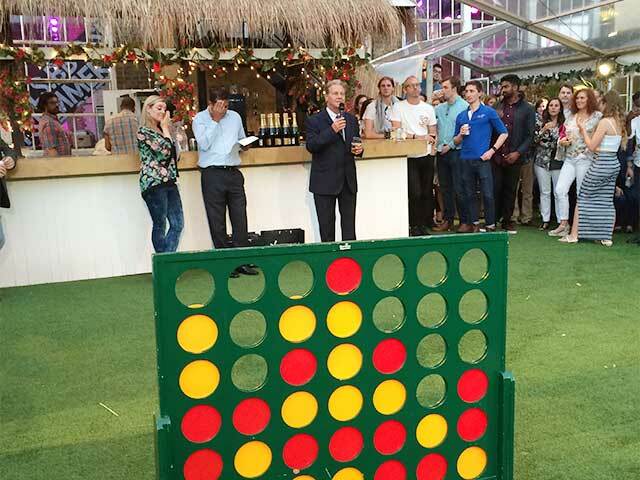 There are always social events, like the summer party which is always good fun and a chance to chat with people from other departments that you might not speak with day to day. My advice to those thinking of joining, prepare to be working with the best in the industry and the the responsibility and opportunity which comes with it. I am extremely proud of my progression path within Exponential-e and wish to continue developing. 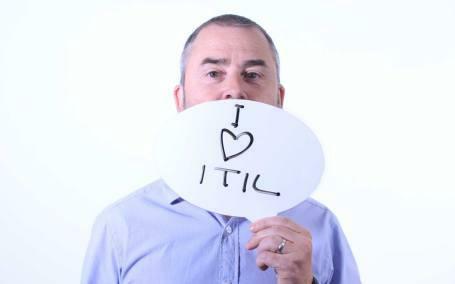 I love my job because I work in expanding company and within a great managed services team. Everyday I am working on new challenges which keeps the role interesting and motivates me to keep learning. I feel motivated knowing I have such a great and supportive team, of whom I know I can go to for any support I need. Also, recognition is high at Expo and I love working for a company that rewards their staff. I love my job because I have the ability to manage my own week and have the support from the business to achieve my goals. 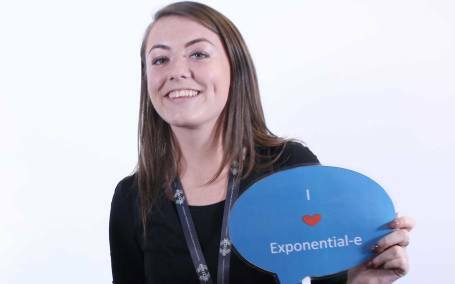 This year’s employee survey highlighted that 81% of employees who took the survey, would recommend a friend to work here at Exponential-e.
Click the video to find out more! This year employee survey highlighted that 81% of employees who took the survey, would recommend a friend to work here at Exponential-e.